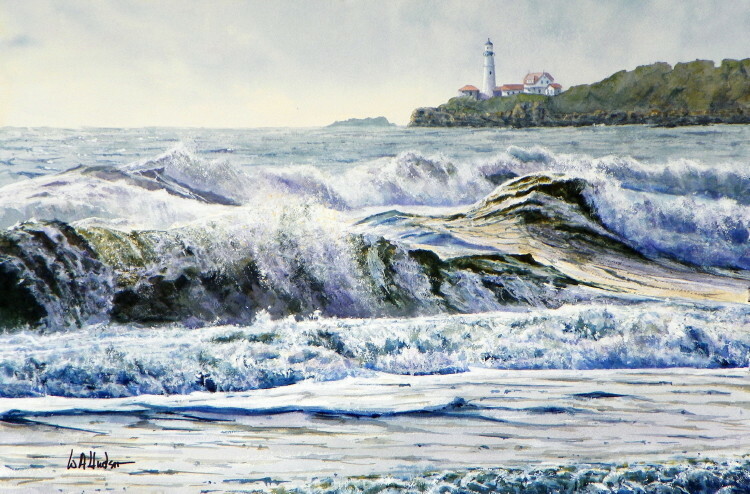 This painting was inspired by a photograph titled “Big Waves and Chimney Rock from Limantour Beach” by artist Kathleen P. Goodwin who granted permission for me to use her image. Reference www.KathleenGoodwin.net. There will be no reproductions of this painting.